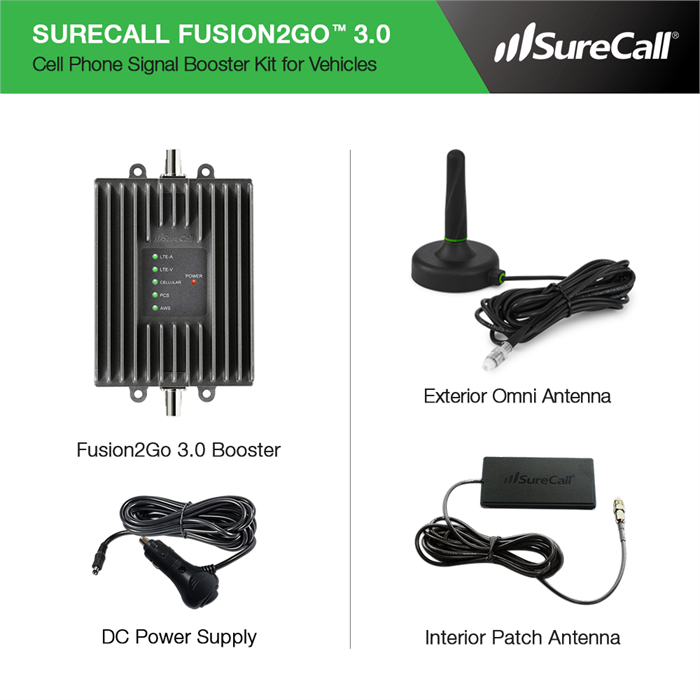 With new SureCall Fusion2Go 3.0 mobile signal booster with improved performance, auto-adjusting gain and next generation exterior antenna, Fusion2Go 3.0 delivers maximum gain, power and coverage area at a fraction of the cost of the competition. This is an upgrade for Fusion2Go signal booster. Surecall Fusion2Go 3.0 provides the maximum gain and power possible for a vehicle signal booster ensuring seamless connectivity wherever the road takes you. Fusion2Go 3.0's automatic gain continually adjusts to maximize performance and increases connectivity for more miles of coverage in rural areas. Stay connected anywhere with Fusion2Go 3.0's new and improved 4" high-gain exterior antenna that is equipped with a strong magnetic base that can hold up in the harshest of conditions. Most powerful vehicle signal booster on the market. 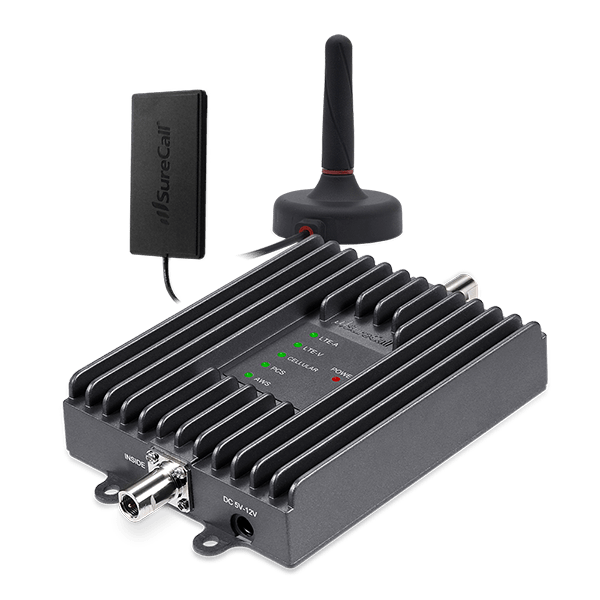 Fusion2Go 3.0 is the booster for people, fleets, and frequenters of the cellular network’s fringe that value performance most signal booster. 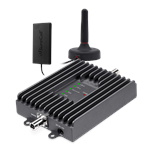 weBoost Drive 4G-X OTR cell phone signal booster is our most powerful in-vehicle truck signal booster certified in the US and Canada.